The Silvretta Hütte where we will start and end our Silvretta climbing tour has a sport climbing area right next to the hut. All routes in the Klettergarten are bolted. The rock is Gneiss, which is solid and has excellent friction. Routes range from 9-30m in length and III-VII- in difficulty. I'm keen to climb a few routes on Sunday if I'm not too jet-lagged and tired from the 5-hour hike up to the hut from Klosters. 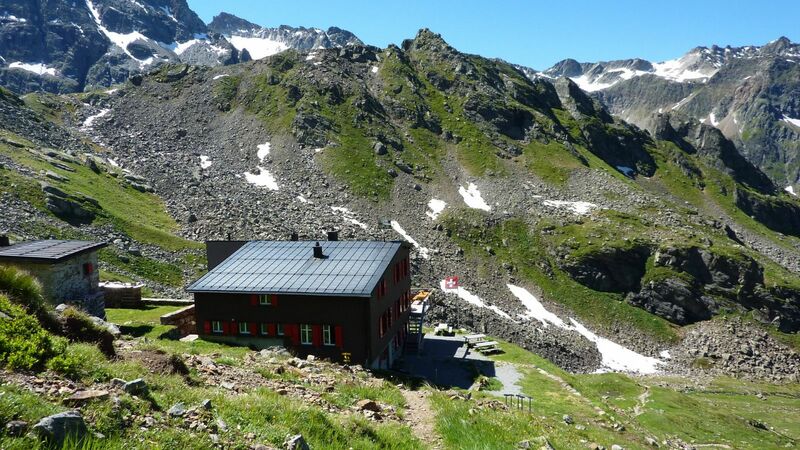 There's always the Friday and/or Saturday at the end of the week when we return to the Silvretta Hütte. Can't wait to go rock climbing!